Esoteric and new age students of today suffer a similar illusion as did the Christians in attempting to promote their ideals in past ages. Early Christians thought that if a little of good ideal was good then more was better and any movement toward the ideal was good no matter how it was achieved. Consequently, when their ideas began to dominate after Constantine they felt that expansion, even at the point of the sword and slavery, was a good thing. Snuffing out competing ideologies like Mithraism, teachings of Apollonius, Manichaeaism, banned books and all forms of gnosticism were seen as victories. Then, when the Conquistadors went to the Americas they forced the natives to accept their ideal religion or die. The means to the end seemed worth it as the ideals of the kingdom of God embraced were taken from the teachings of the greatest of us all, the Christ. Now in this age we have a higher octave of ideals set before us in the Ancient Wisdom, particularly in the teachings of Alice A. Bailey and DK. The question is this: Are the mistakes of the past being repeated? If a little is good is more always better and is any means justified in advancing the ideal, even the taking away freedom of choice? The teachings emphasize sharing and the rejection of materialism. Does this mean that the ideals of socialism and communism should be accepted, even at the point of the sword to loss of freedom? Some are all in and even feel that totalitarianism is a price worth paying, despite DK’s obvious teachings on the importance of allowing for maximum free will. Others are supportive but by lesser degrees. These reject totalitarian communism but support social ideals that infringe on free will, but are not totalitarian as of yet. Thus all rational people can see that sharing and cooperation is good when tempered by free will but if done at the point of the sword then the end result is no more virtuous than that achieved by the Conquistadors with the native Americans. 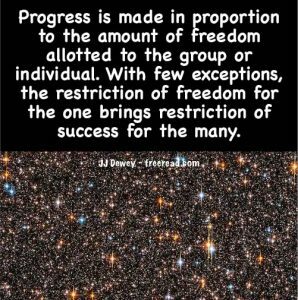 Since this time, instead of putting pressure on totalitarian regimes, we have admitted more of them and are still faced with having to incorporate them instead of pressuring them toward freedom. Again the wise student will judge the work of the U.N. through the lens of progress toward freedom and cooperation rather throwing them mindless support. A current problem that concerns students is the issue of Brexit where the people of the UK voted to exit the European Union. Most esoteric students and those who embrace new age teachings are against Brexit and think that the UK should stay in the union, even if the majority of the people are against it. There are even groups getting together supporting meditation to influence the end result of the EU staying intact. Why is such a high percentage of students taking this approach? Basically, it is because of the black and white unthinking approach to the ideal set forth by DK. He speaks of a future where nations will be more inclusive, cooperative and united, have loose borders and not require passports – where they will join in cooperative efforts, yet still maintain their national identity. The end result will be a fairly united one world where nations still maintain their individual identity yet cooperate together as if they are a part of the one world. This will not happen overnight but evolve over time. Because a cooperative union is a desired goal the black and white student will tend to support any step toward union without doing any analysis of its ultimate good, or consider the free will of the people involved. Students often forget that no good ideal is worth the sacrificing of the free will of the human spirit. This must be preserved at all costs. Let us look at the old Soviet Union, for example. This was a union of nations which was at first supported by many esoteric students, but most finally conceded that the cost of human freedom was too great and the break up of the forced union was a good thing. Now, through the European Union, humanity is witnessing another union of nations. Unlike the Soviet Union this one has taken place through the free will joining of the various nations. Thus, this initial union was in harmony with the principle of free will. But then the people of the UK saw the central authority of the EU became too intrusive and the benefits too few so they had a vote and the majority of the people d decided to exit the union. The vote was 52% for Brexit with 48% wanting to stay in the union. 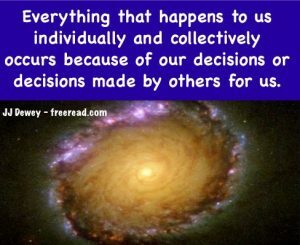 If we then honor the free will of the people there should be no problem supporting the will of the majority. After all, if an organization is drifting toward to much central authority then it makes sense to question the value and withdraw while withdrawal is still possible. So, think about it. Why did he stress that the NGWS take no sides? The reason is simple. The main goal of the NGWS is to promote goodwill among humanity for that is the key to solving the most serious problems on the planet and establishing peace on earth. If the servers therefore openly take sides and promote an issue that is opposed by half the people or more then what chance do they have in creating goodwill among that opposed half? In fact, more than half, 52% of the people voted for Brexit. Therefore, if NGWS take a side against that 52% what chance have they of establishing goodwill among them by showing trust in their divinity that “awaits the expression of man’s free will”? Instead, what have we? The 52% are looked upon as unenlightened near-do-wells who need to be corrected by the elite who know what’s good for them. Do you suppose that there are no enlightened among those 52% who support Brexit? Who is to say that there are not more among the ranks of the NGWS among the pro Brexit as the anti Brexit? How would the NGWS expect to establish goodwill among the 52% of the pro Brexit voters if they openly oppose their legal and democratic majority vote? After all, DK tells us that the NGWS and people of goodwill will be found in every religion and every political party. 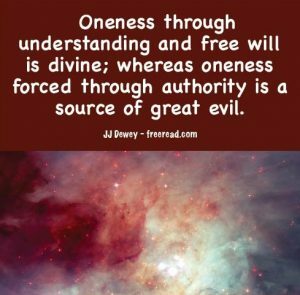 Free will, not a forced union, is the deciding factor and the only one that causes the Hierarchy to take a side. Otherwise, disciples are advised to merely work with the divinity that is in us human beings, for once that spark is lit, goodwill will manifest and we will naturally be headed the right direction. When we therefore look at the Bexit situation we see that 52% of the people of the UK have chosen it of their own free will and this needs to be honored whether we personally agree with the decision or not. 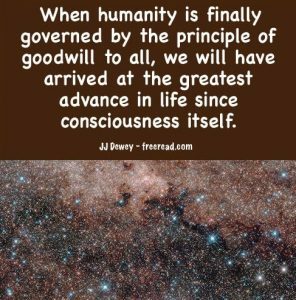 The key of wisdom here is that free will decisions will come from the divinity which is in humanity and we should trust that free will to eventually take us to a positive conclusion. He always gives freedom the greatest weight, above unity, sharing or any other virtuous endeavor. Only in an atmosphere of freedom will ideals materialize into the dominating good. Disciples must not give into the temptation to attempt to speed the process by the exercise of undo force. “Nothing must be published in any pamphlet, newspaper, circular or letter which could evoke antagonism from any government, any political party, any economic strategist, or any religious organisation. ONLY PRINCIPLES OF UNIVERSAL APPLICATION MUST BE EXPRESSED, AND NO PARTISANSHIP IS PERMITTED. The only exception to this. as noted earlier, is if the Principle of Freedom is at stake, for there can be no progress toward the light without it. It is interesting that the Greek word from when the English translation comes did not always refer to a certain day. Take note of these scriptures where the Greek SABBATON is used which is the same translated as Sabbath throughout the New Testament. Luke 18:12: I fast twice in the week (SABBATON), I give tithes of all that I possess. 18:13 And the publican, standing afar off, would not lift up so much as his eyes unto heaven, but smote upon his breast, saying, God be merciful to me a sinner. Acts 20:7 And upon the first day of the week (SABBATON), when the disciples came together to break bread, Paul preached unto them, ready to depart on the morrow; and continued his speech until midnight. Here it sounds like Paul is referring to three consecutive days as three Sabbaths. There are many references in Joseph’s recorded history in his own words referring to Sunday as the Sabbath. Here are three of many I could present if necessary. Sounds like you are having some major problem to deal with. Such problems always provide opportunity for learning though it is not the type of learning the personality seeks while in mortality. I have a daughter who is also in a precarious position. Her Ex tried to murder her, but she survived and prosecuted him and put him in jail for five years. Now he is out she has altered her identity in hope of staying out of his way. Situations like this are indeed taxing for seekers and they are more common than should be the case. We need to understand that seeing the Christ in others is much different than any reaction to the outer personality, though it will influence how we deal with the outer self. Even Hitler had a Higher Self that is linked to God. Though that Higher Self would have been disappointed with its imperfect reflection on the earth, that may have even corrupted it in the soul level, the originating monad still exists with the qualities of love and light in the bosom of the Father Mother God. In dealing with these situations I have taught about what I call the Lion Principle. The disciple will be aware that the lion is dangerous and may even eat him if he was not protected, ye in a protected situation at the zoo he can look at the lion, smile and appreciate it. Many an animal lover can appreciate even a dangerous animal because he sees all life as one and this life flows through all living things and one part is connected to all other parts. Now let us take the person in life who is causing lots of grief. In examining him we must realize there are two major parts of this being. The first is the Christ self, connected to the true life aspect, which is very easy to love. The second is the lower imperfect reflection called the personality self which is often difficult to love. The mission of the disciple is not to embrace the personality self, but to see behind all difficult personalities to the real self. This does not make the problems with difficult people disappear for we still have to deal with them. Instead, if we see the Christ within we view with a different attitude than one who does not. Visualize two people viewing a lion at the zoo. The first realizes the lion is dangerous and that is all he thinks about and does not enjoy his visit for he sees lions as evil. The second also realizes lions are dangerous but he sees a higher aspect involved in the lion’s life and doesn’t let the dangerous side affect the quality of his life. However, if the lion should get loose he would defend himself and do everything possible to keep his family safe just like anyone else. He wouldn’t try to lovingly embrace it. Dangerous or obnoxious people need to be dealt with in a practical way. Sometimes you have to do something that they would not interpret as love. What is not realized by many is that teaching others a tough lesson that forces them to see with more clarity is an act of love. When Jesus chased the money changers out of the temple he forced them to think about what they were doing and if they accurately reflected they would have been brought closer to embracing love of their fellow men and women. On the other hand, this act provoked the enemies of Jesus and caused some to side with putting him to death. The disciple has to play a fine line and realize the possible implications when he teaches a lesson while also causing provocation. Sometimes you will not know what the end result will be. The best thing is to always follow the inner voice wherever it takes you. ”Thus to see beyond the world of form we must suspend the seeing of form and go to the universe of infinite ideas by not seeing, not thinking and not feeling. I would like to formally request that you fascinate me (hopefully us) by saying much more on this topic 🙂 concentrating on the “not seeing, thinking, feeling” aspect. How can I refuse such a sincere request? I will at least say a few more things. This principle of “not seeing” dawned on me when I became interested in seeing auras and started attempting to see them. In my quest I found that the etheric double that extends a few millimeters from the body is easy to see but the aura which is made of a more refined matter is much more difficult. Then the mind stuff beyond the aura is much more difficult still. I practiced for some time without results but kept at it and finally began to see flashes of the aura. They were quite beautiful and attracted my conscious attention, but I found that when I consciously focused on them they instantly disappeared. I found that curious, but kept practicing, trying to figure out the principle that would allow me to see these elusive colors. Finally, I realized that the more I consciously cared about seeing them the less I saw, but if I put myself in a state of mind that did not care, and did not try, yet still allowed myself to look that I could then see. I eventually called this process “not seeing”. The reason I called it such was that to see I had to not try to see, but merely allowed myself to see on a higher level. Then I discovered that this principle not only applied to seeing but to all types of perception that occurs while in the body. For instance, to transcend physical brain thinking you have to temporarily put it aside and not think. This creates a vacuum that is replaced by a higher type of thinking from the higher mind. 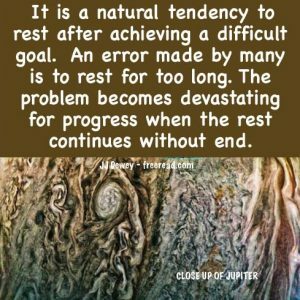 This explains why many of the great thinkers seemed to be absent minded. I read once that when Einstein went for walks that he became so disconnected from paying attention with his regular mind that when he resumed his regular brain thinking that he would be temporarily lost and not realize where he was. There is a truth in the term, “absent-minded professor.” Great thinkers will use their lower mind when appropriate, but will enter a zone where they put it aside and “not think”. 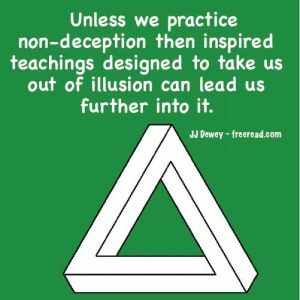 This does not eliminate thought as many presume, but opens the door to higher thought. The fact that lower thought is suspended does not mean all thought is suspended. When Einstein suspended lower thought he was still thinking, but on a higher level. This was when he received his best ideas. This principle also applies to feeling. The higher octave of the lower feelings are the higher revealed through the intuition. To access the intuition with its high level of feeling and sensitivity the seeker must still feelings, or place them in a state of peace, so the higher can be accessed. Tuning into the perceptions of the lower self is like turning on the radio and not being exactly on a station so all you hear is static, or maybe a combination of station and the broadcast. To hear the true broadcast you have to “not hear” the static and allow yourself to hear the real broadcast. All perceptions of our lower self contain much static that causes blockage in our perception. These must be transcended so the real truth can be perceived. The correspondence is not exact, but close enough so the intuition can create a clear picture. Here are my views on the Mandela Effect. Most of it is caused by imperfect human memory. For instance, tell a person who wears a regular dial watch to close their eyes and describe it. Even though the person may have looked at it 20 times a day for five years he is likely not able to describe it. He cannot tell which numbers are missing or other details. I asked a number of people this when I was a kid and no one got it right. How often have we recalled events of long ago with old friends and each of us has a different recollection? We had the same experience, but registered it differently. I believe there is just one physical reality with us as players though there are numerous dimensions and other realities. There are not dozens or even millions of you on duplicate earths. 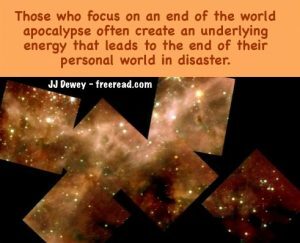 That said there is the real effect of deja vu and some memories seem so real that many do swear to the Mandela Effect. Is something other worldly at play here? It could be. Remember the Holodeck from Star Trek? 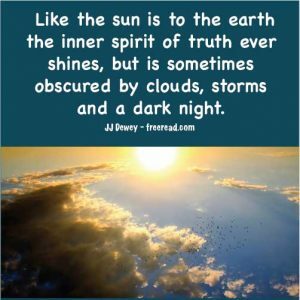 We have something similar to this available to us in the spirit world between lives as well as during sleep when the mind is united with the Higher Self. Before we were born we could use this spiritual technology to project what would happen in our lives if certain decisions were made or if various circumstances manifested. Sometimes we also do this projection during sleep and normally only have the faintest of recollection while awake. 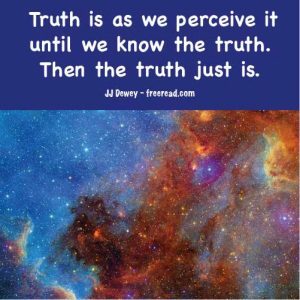 On the other hand, there are times that you were playing around with manipulating reality while in the spirit that comes across strongly while awake and this produces deja vu and the Mandela Effect in some cases. So far have I have not found one Mandela Effect that cannot be attributed to tricks placed on the memory. If you have any proof beyond this possibility I would like to see it. Concerning the origin of the phrase which began with people remembering that Mandela died in prison when he did not I distinctly remember it the way that it is recorded – that he served his time and was released. Some are making a big deal of scriptures being changed attributing the changes to the devil, but if that were the case you would think that tricky devil would have changed scriptures that would have directly affected our belief in Jesus. I distinctly remember the wording as bottles from Sunday School way back in the 1950s. The teacher read the scripture which used the word “bottles” and explained that in the days of Jesus they didn’t use bottles, but wineskins. If a person has read any other version besides King James he will have read the translation as the more correct “wineskins” so it is no wonder that many think the King James also used this word. There is one thing that happens to me that comes closest to making me think the Mandela Effect is real. It seems that every time I make a bet with my wife that she wins because reality seems to have changed. She gets a bang out of my perplexed state. By the way, I have finished my treatise on the Law of One and would be interested in any comment you may have. The link is at the top of the page at this time.